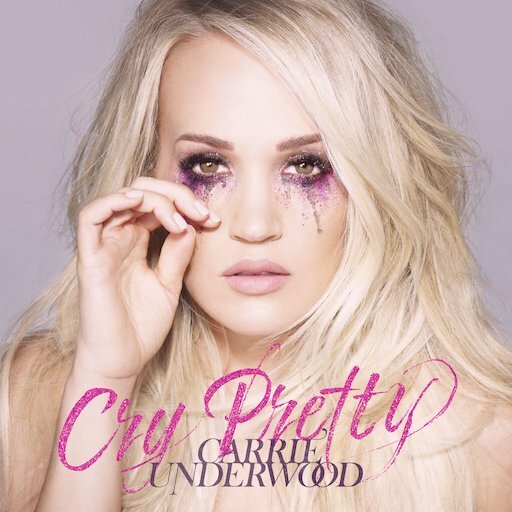 On her new album Cry Pretty, Carrie Underwood belts out rafters-reaching country anthems, incorporates dance and hip-hop beats into her radio-ready twang-pop and even dips her toe into politically charged waters on a couple of songs. Those first two are no surprise. Underwood and her huge voice have been amplifying and arena-readying modern country music since she won “American Idol” in 2005 and quickly became one of the genre’s biggest stars. As for the third, it is because she is one of the genre’s biggest stars that Cry Pretty’s benign lyrics about gun violence and equality will get a disproportionate amount of attention. More on that later. For now, let’s talk about the highs and lows of Underwood’s sixth album. It starts off strong with the title track, a rock-solid lead single that carries a message of acceptance within its booming rock arrangement. “Ghosts On the Stereo” swoops in quickly thereafter to appease Underwood’s country fans with vague smolder and rote references to Hank Williams, Merle Haggard and George Jones. And “Low” is one of Cry Pretty’s best tracks; it’s bluesy vibe and simple lyrics give Underwood room to showcase her voice without sounding like a perfect-pitched robot. Elsewhere, Underwood nails two tried and true country traditions: the drinking-to-death heart-wrencher (“Spinning Bottles”) and the faith-based, family-first hymn (“Kingdom”), proving both times that big, emotional ballads remain her bread and butter. Much of the rest of the album finds Underwood exploring pop and R&B sounds more than ever before. Sometimes, she’s successful: “Backsliding” is a uniquely slinky song about inescapable lust that’s built on something like a cloud-rap beat, while “End Up With You” fuses a spare guitar line, an ascendant melody and some bro-country cliches and comes out sounding fresh and twangy, like Carly Rae Jepsen covering Luke Bryan. Sometimes, she’s not so successful. “That Song That We Used to Make Love To” gets points for its strange groove, but vocally, Underwood sounds out of her element at times, and when as skilled a singer as Carrie Underwood is out of her element, you know it’s a reach. Meanwhile, “Southbound” is her take on the “party anthem” song form that so many of her male counterparts have taken to the top of the charts. If it’s an effort to reclaim that style for the ladies, then more power to her. But it reads as either parody or desperation. Would it be nice to hear Underwood sing more overtly about gun control and/or equality? Of course it would. But she’s the most prominent woman working within a segment of the music industry that undervalues women and crushes them when they speak out. It’s unrealistic to expect her to jeopardize her career for an opinion, and sadly, that’s the position she’s in. So instead of focusing on the shortcomings of “The Bullet” and “Love Wins,” here’s a vote for appreciating the fact that she chose to include them on Cry Pretty, an album that will be heard by millions of people all over the world.